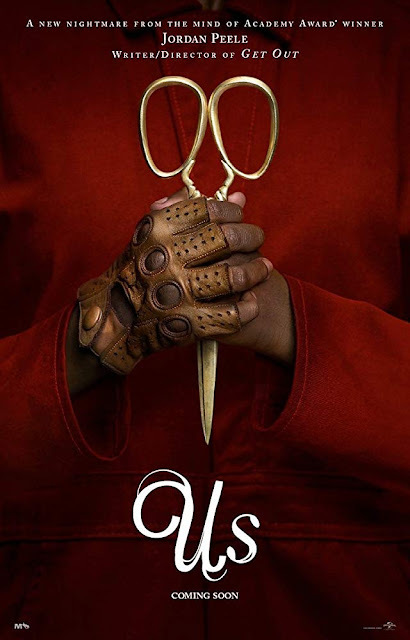 Take a look at the second trailer for Jordan Peele's highly anticipated second film. The film will be released 22 March, 2019 (UK and USA). The film stars Lupita Nyong'o, Winston Duke, Elisabeth Moss, Shahadi Wright Joseph, Evan Alex. Jordan Peele writes and directs. Set in present day along the iconic Northern California coastline, Adelaide Wilson, and her family, huisband Gabe and their two children return to her beachside childhood home for an idyllic summer getaway. After spending a tense beach day with their friends, the Tylers, Adelaide and her family return to their vacation home. When darkness falls, the Wilsons discover the silhouette of four figures holding hands as they stand in the driveway. Us pits an endearing American family against a terrifying and uncanny opponent: doppelgängers of themselves.